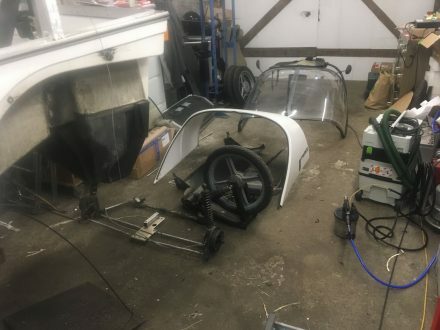 With TW560 reduced to a square cube meter of parts, it’s time to remove all parts from TW524 and get its Space Frame ready for transplantation to TW560’s frame. 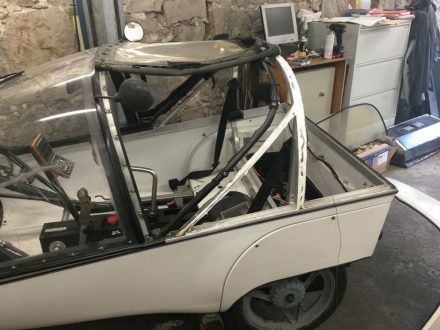 Everything else will go towards my ever-growing TWIKE spare-part collection. I’m really happy to finally have many parts in storage which can make problems (such as this one) go away very easily and cost-effectively. 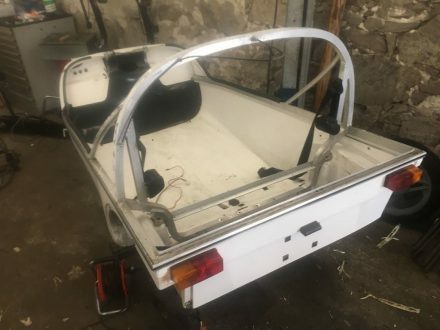 As I mentioned, we had to source a back top Luran cover as the one that came with TW524 was non-standard … and I really want my stock-edition non-modified outer hull TWIKE back. This is why this one goes into storage … for someone else. With the back cover removed, Andi starts to remove the rest of TW524’s interior and hood. 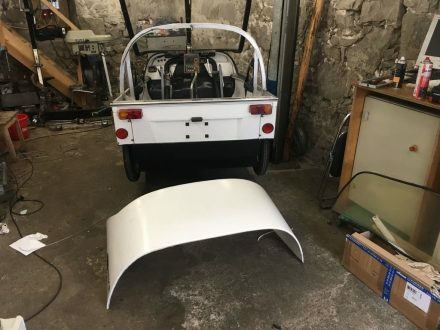 This hood is in a bad state – I’m planning on restoring it on my own sometime as soon as the TWIKE community has come up with a solution for broken Plexiglas. 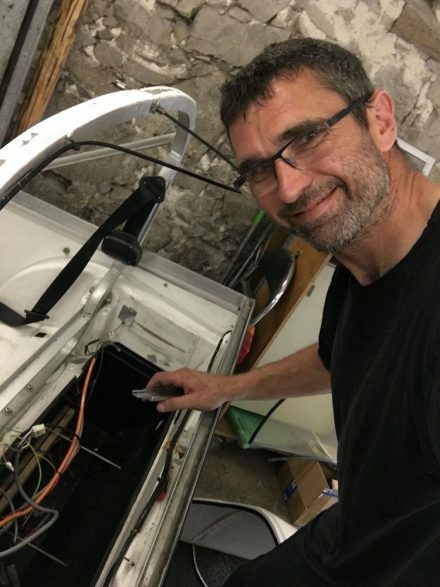 Andi really likes working on TWIKEs without back covers – no contortions required to get to the battery bay or beyond! Piece after piece ends up in the front part of Andi’s workshop. 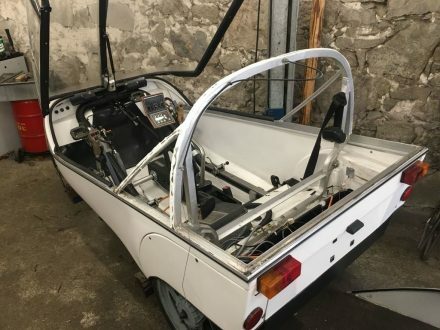 A collection of valuable TWIKE parts. After just half a day, TW524’s Space Frame is ready for the next step: TW560’s re-build.